The French started exploring the area that we now know as Michigan in the 1600s to both gain wealth from trade and spread their religious beliefs. In the 1700s, there was an increase in the number of permanent settlements throughout New France, such as Fort Pontchartrain du Détroit, the historical settlement of the city of Detroit. 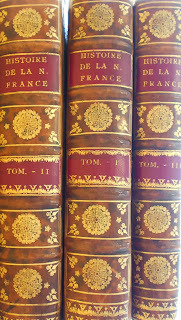 Some of the materials in the Clarke relate to the explorers and first settlers in New France. 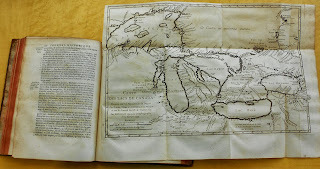 For instance, the above images show the 1744 first edition of Histoire et description générale de la Nouvelle France, avec le journal historique d'un voyage fait par ordre du roi dans l'Amérique septentrionnale by Pierre-Francois-Xavier de Charlevoix and a map found in the text. As more and more European explorers, traders, and military settled in North America, there was rise in animosity between the British and the French and later the Americans and the British. Additionally, the imposition of European customs, habits, and models of governance led to tensions between Europeans and First Nations Peoples. Some of these tensions sparked conflict, such as the Seven Years' War (also called the French and Indian War) and the War of 1812. Secondary sources about these wars are abundant in the Clarke holdings and original documents in French concerning the War of 1812 can be found in the Jacques Campeau Family Papers, 1761-1890. 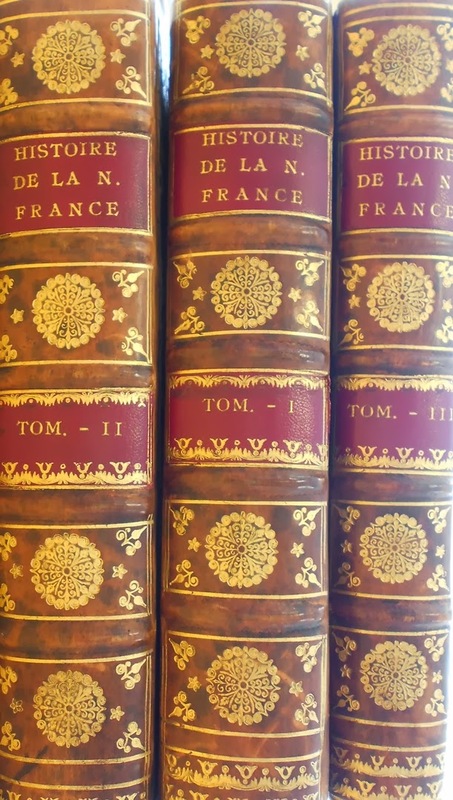 Beyond documents pertaining to wars and conflict, the Clarke keeps a great deal of materials concerning everyday life in New France. 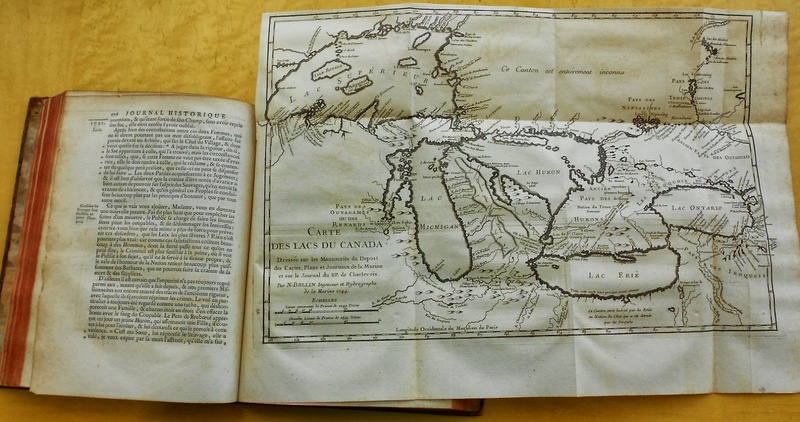 There are numerous detailed accounts and maps from various eras of French-Canadian history, some dating back to the 1600. Primary sources concerning the everyday lives of fur traders can be found in the Trefla Collections or the Sault Ste. Marie Collections (on microfilm). Primary sources about early business and religion in southeastern Michigan can be found in the Jacques Campeau Family Papers, 1761-1890 and materials from the printing and library collections of Father Richard. Whether you have French-Canadian ancestry or not, today is a day for everyone in Michigan to recognize the contributions of French-Speaking peoples to our state's heritage and culture.